1. Bette Davis Eyes (Kim Carnes)～LP"Mistaken Identity"
3. Jeopardy (Greg Kihn Band)～LP"Spiracy"
5. 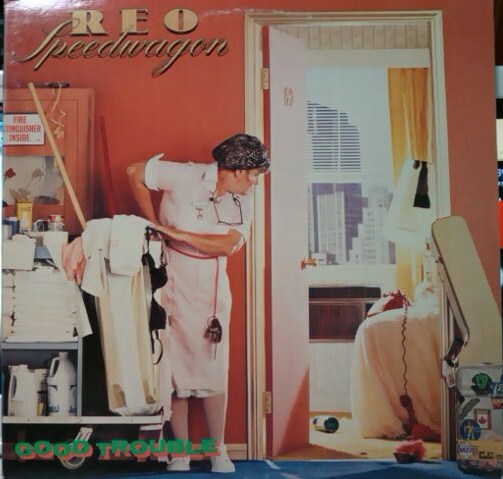 Keep The Fire Burning (REO Speedwagon)～LP"Good Trouble"
7. Breakdown Dead Ahead (Boz Scaggs)～LP"Hits!" 9. Angel Of The Morning (Juice Newton)～LP"Juice"
10. エスケープ (ルパート・ホルムズ)～LP"Partners In Crime"
11. We Were Meant To Be Lovers (Photoglo)～LP"Photoglo"
12. Fool In Love (Photoglo)～LP"Fool In Love"
13. The Power Of Love (Huey Lewis and The News)～LP"Selections 5 track EP"